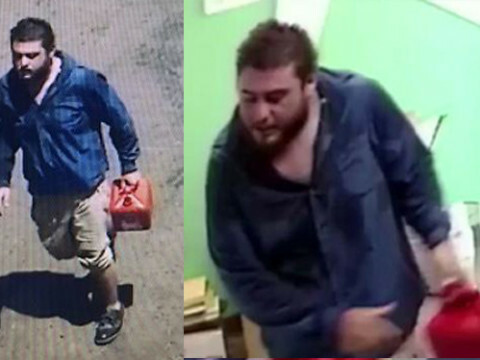 Home Abs Police Searching For Man Who Set LGBT Youth Center On Fire! Police in Phoenix, Arizona are on the lookout for a man who was caught on camera setting an LGBT youth center on fire. The Phoenix Fire Department made the announcement on Wednesday after footage was recovered showing a man pouring liquid on the floor and stepping outside just before a room in the center ignited in flames. Authorities have identified the suspect as Darren William Beach Jr., and have asked for the public’s help in finding the alleged arsonist. Photos: Protestors Rally Against Trump’s Transgender Military Ban! Center officials say the 26-year-old used to be a participant in one.n.ten programs, but aged out of eligibility when he turned 25. The group reopened the day after the fire in a temporary facility at the Parsons Center for Health and Wellness in downtown Phoenix. Officials are waiting to find out what expenses insurance will cover. Authorities are investigating to find the man responsible. Previous articleCellino & Barnes Still At War! Stephen Barnes Requests Restraining Order Against Ross Cellino! Next article911 Call & Police Body Cam Footage From Venus Williams’ Fatal Car Crash Released! Fans On Twitter Do NOT Like JAY-Z & Beyoncé’s Rumored Twin Names!